But my BIG announcement is that I finally have a release date for my first original Solo EP, "The Reward!" 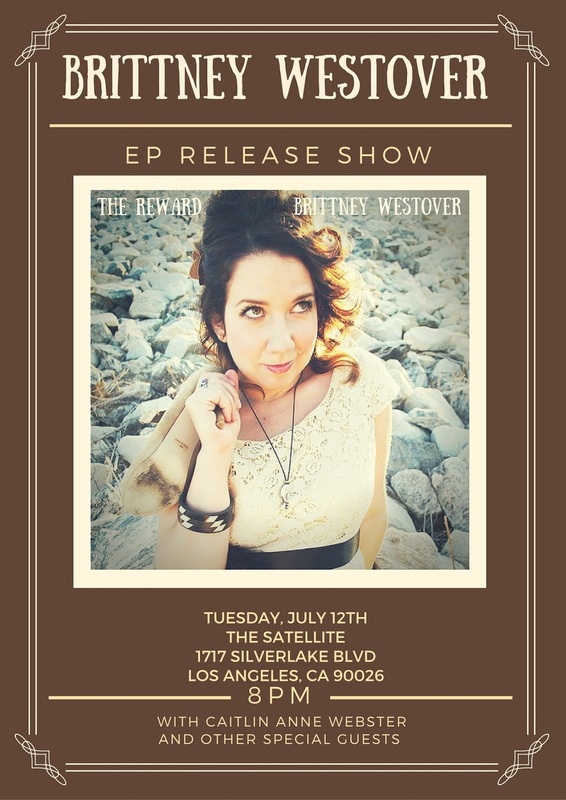 I will be celebrating with a Record Release Show on Tuesday, July 12th, at the Satellite! MARK YOUR CALENDARS!!! And if you haven't done so already, claim your FREE "Reward" by watching my music video for my current single and clicking the "Free Download" Button at the end! YOU DESERVE IT! Thanks for keeping up with me, friends! I can't wait to see you on July 12th! IT'S GOING TO BE THE GREATEST NIGHT OF MY LIFE THUS FAR, AND I'M ECSTATIC TO SHARE IT WITH YOU!!! !